Frontline Florida Realty's Shelley Freeman, writes for in A Place in The Sun's, 2014 Winter edition magazine - available now. Frontline Florida Realty's Shelley's Freeman, is a renowned, knowledgeable and experienced real estate Broker/REALTOR®, who is well versed in the current Central Florida real estate market conditions. Shelley's 6-page article '10 things to consider when buying in Florida', provides vital information for foreigners looking to purchase a home in the Greater Orlando areas. 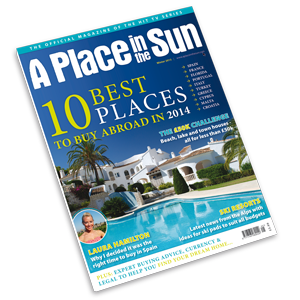 If you are not subscribed to A Place in the Sun's Magazine, there's no need to worry, you can read the entire article by clicking here!